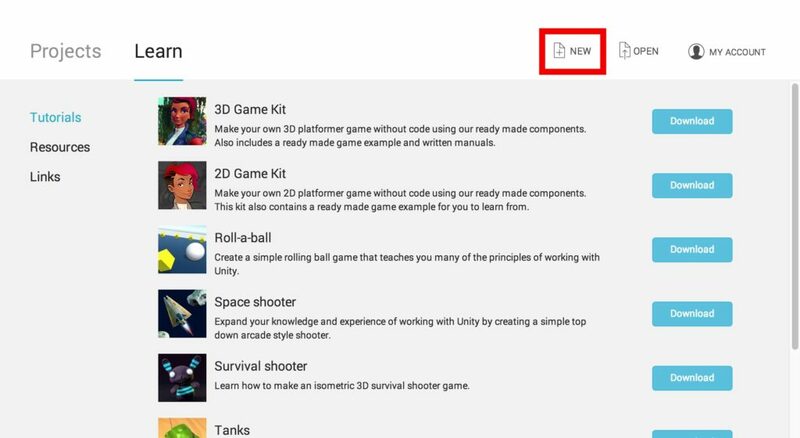 In this article, I introduce the basics of Unity assuming STYLY as a target platform. This time, I mainly explain about the user interface to create a Prefab. 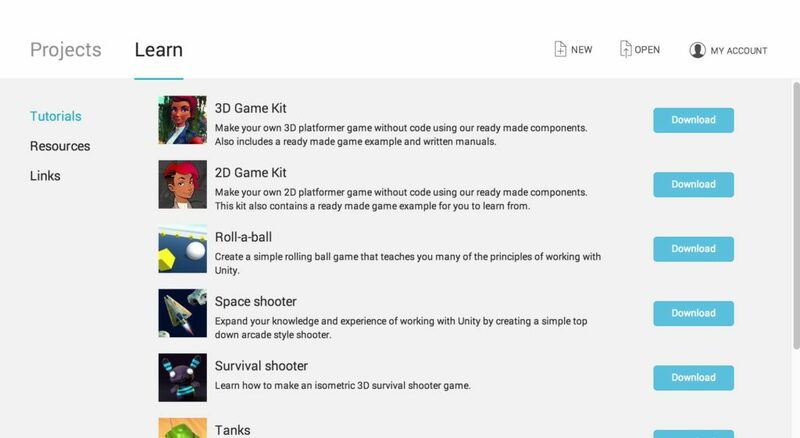 Firstly, download and launch Unity. The version recommended is Unity 2017.4.x. If you create a new account, click ‘Create one’. If you already have your account, log in by entering Email and Password or log in via the SNS linked. Pressing ‘Create one’ brings up the window to make a new account. Fill the required fields (Email address, Password, Username and Full Name). 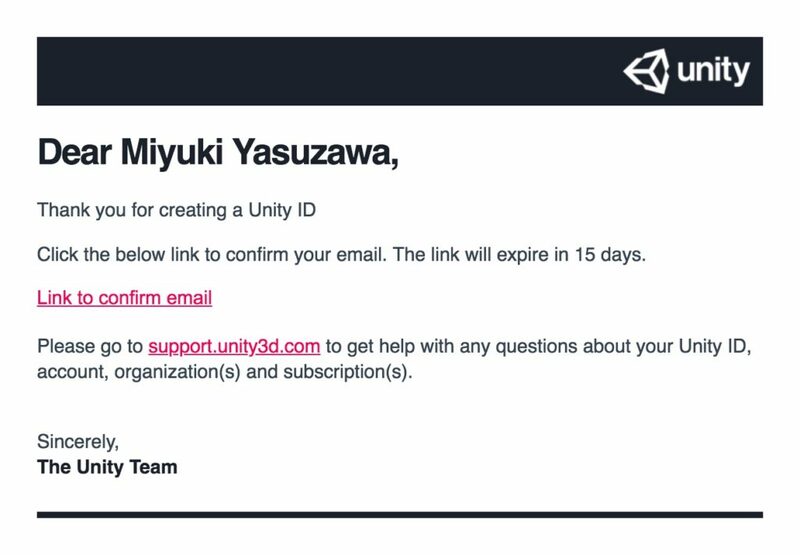 Then, click ‘Create Unity ID’ with the two boxes checked (See above). Log in via SNS if you want to skip this step. 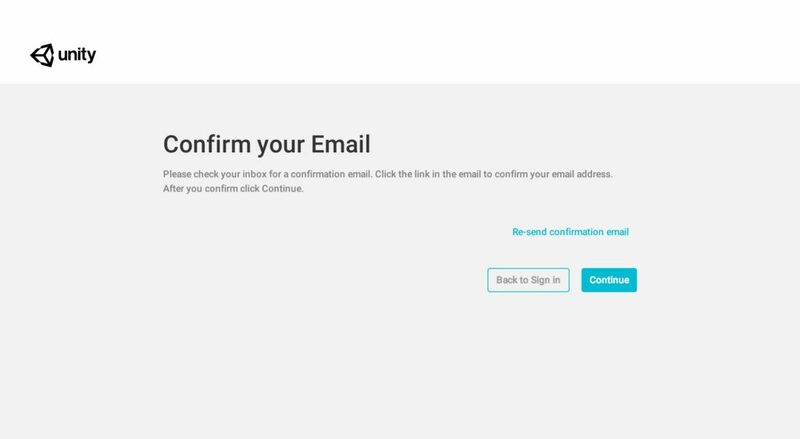 When the registration is completed, the screen shown above pops up. Then, an e-mail will be sent to your address registered. The registration is completed when you receive the image above. 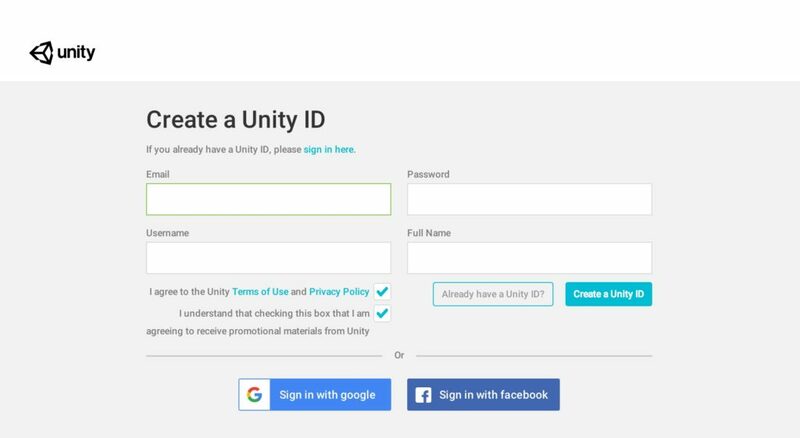 Go back to Unity and log in with the required fields filled. 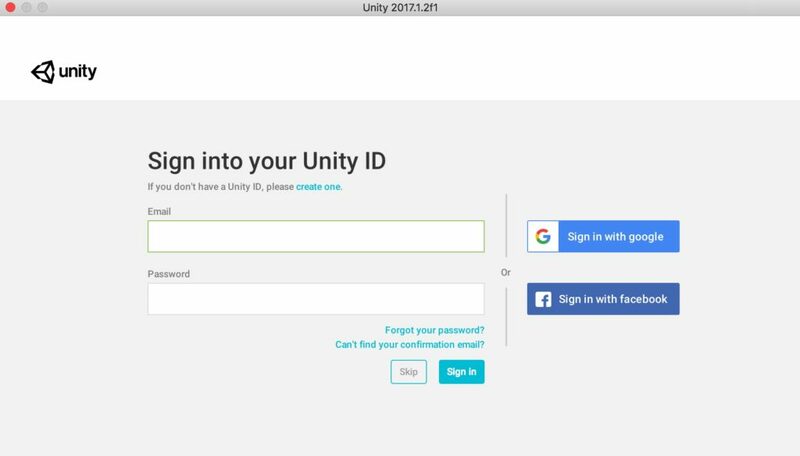 When you logged in, Unity brings up the screen shown above. Once you have made Your ID, let’s create a new Project. Firstly, press the ‘New’ button. Enter the Project name, the Location and so on. Select 3D or 2D to suit what you create. Select 3D for the example here. I briefly explain about the user interface of Unity. The following is a summary even for Unity beginners like me to understand. ① The Scene View: the interactive view into the scene you are creating. ② The Hierarchy Window: It displays a list of contents in the Scene such as 3D model, lights, cameras and so on. ③The Inspector Window: You can set the properties of an object (3D model, light, camera view and so on) in the Hierarchy. ④ The Project Window: You can store the data to use. You can see what has been imported here. Don’t worry about a window in the bottom left corner for now. It basically displays some error logs. 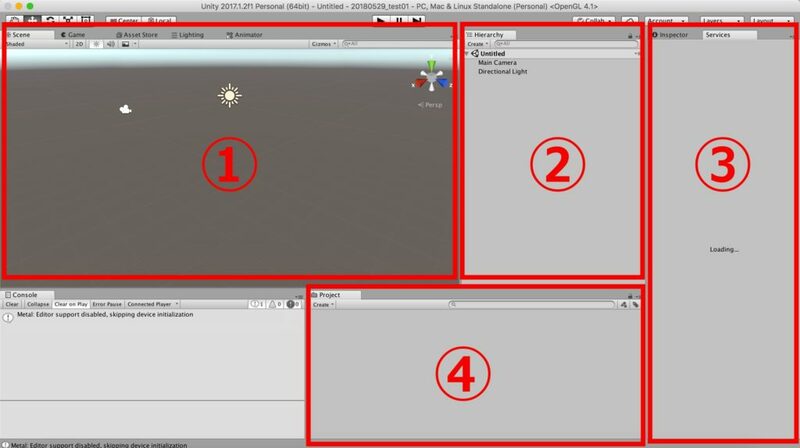 The followings are the basic navigation controls in Unity. Orbit: Hold Alt, and left-click and drag. Zoom: Use the scroll wheel. If you also use other 3D CG software, you would already be familiar with the operations similar to the shown above. Apart from coding work by both hands, the left hand is for typing and the right hand is for mouse operation in general. 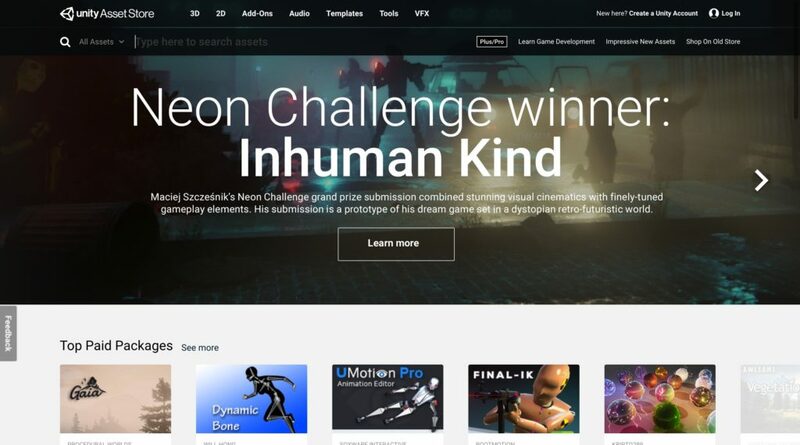 Unity Asset Store is shown in the screenshot above. There are 2D models, 3D models, backgrounds, accessories and etc. There are also many objects for free, which are very useful references to create a game or CG. 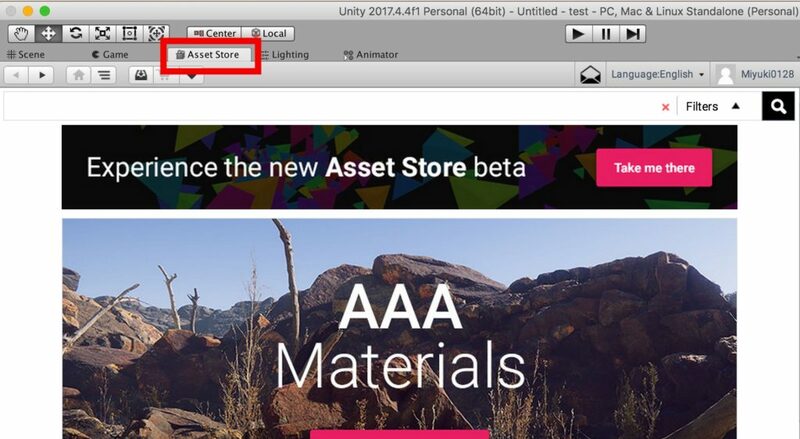 When you launch Unity, you will find the Asset Store tab to the right of the Scene tab. 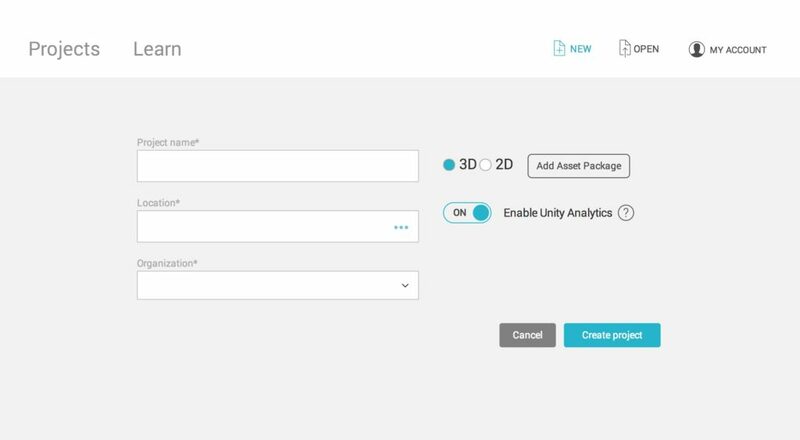 By clicking it, you can view Asset Store while running Unity. You can also search, download and import from there. You can search by keywords in the upper red outline above and search with conditions in the lower red outline above. It displays the assets that meet the conditions such as price, rating, data size, etc. This time, I import a free asset of a snowman shown below, to Unity. Clicking an asset in the search result brings up the page to download. Click ‘Download’ button. Once the download is completed, the button will be changed to ‘Import’. Click it. In my case, the window shown above popped up after downloading. Then, I clicked the ‘Import’ button. 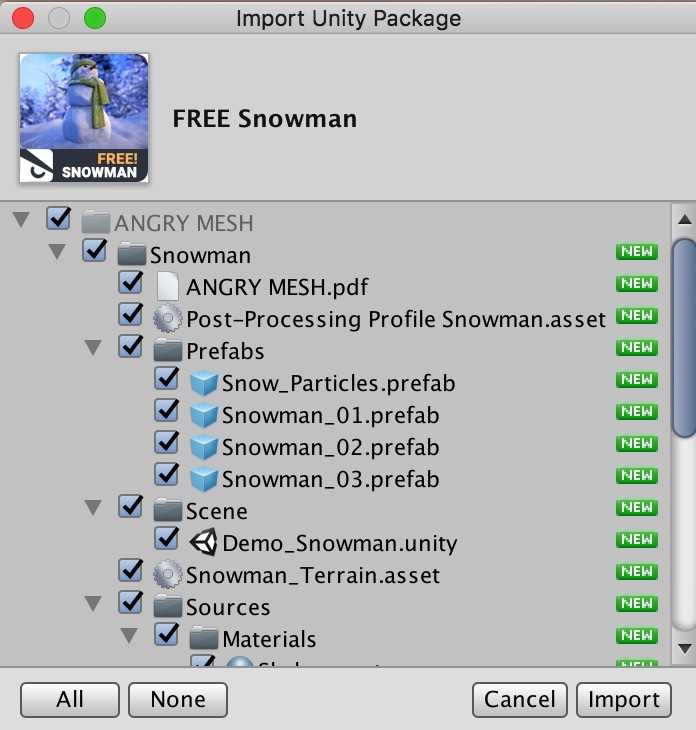 When you check the Prefab data imported in the Project view, you can find the data of snowman. 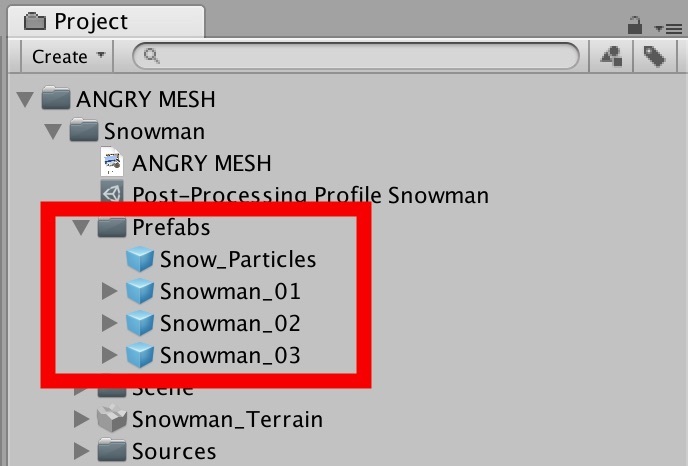 Drag the ‘Snowman_01’ file onto the Hierarchy. Now the data of a snowman(Snowman_01) has been placed. You can multiply the model by dragging the Prefab onto the Hierarchy repeatedly. You can easily create your favourite world just by placing some assets. Please play with them while learning how to use the UI.